wonderful, m! both the shots and the chair. This is great ! i love it. Oh j'adore! 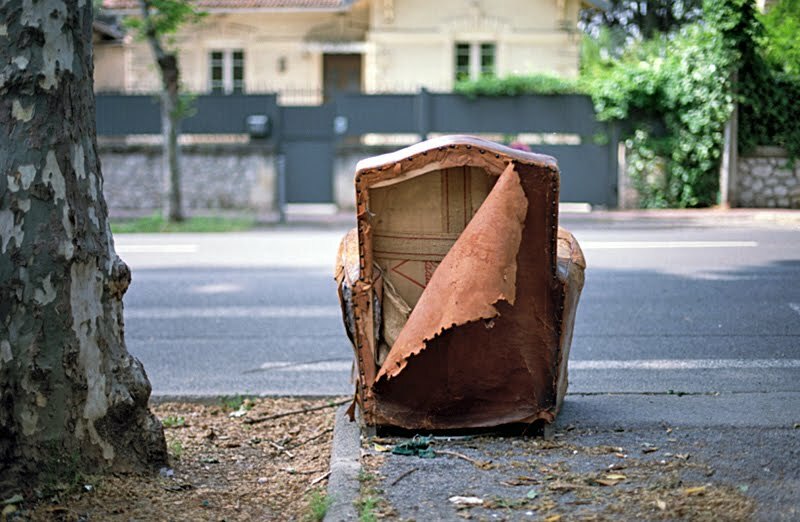 I'm really fascinated with things left behind and these shots are just wonderful! Woah.. good film! So sharp..
beautiful. my uncle has two of those in his house in france. i love how they smell. elisabelle said it already: such a photogenic chair! great find, mary. lovely, what a great set and such a wonderful old chair!! oh you can see this chair was loved until its end, eh? what wonderful photos. so crisp! 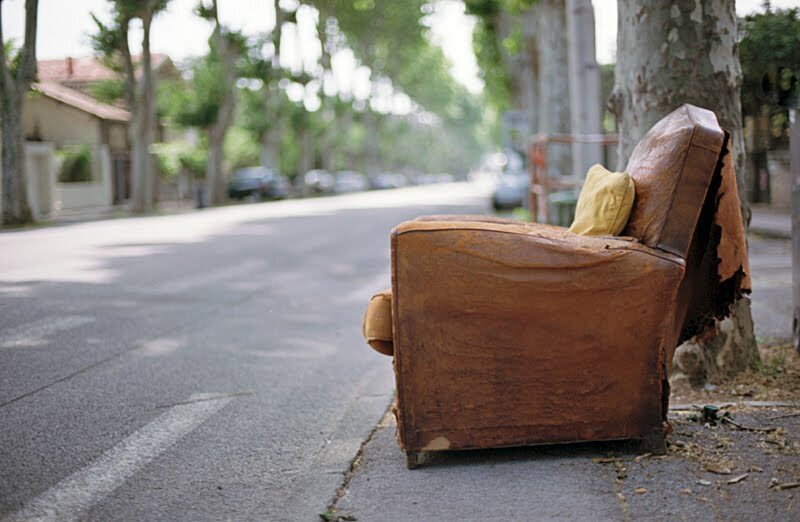 Ce fauteuil me fait penser à un canapé qui se trouvait dans les rues de Göteborg et que j'avais photographié. Et il me semble bien reconnaitre ce quartier. That chair must have so many stories to tell! I hope someone picked it up and brought it home. On another note, I've just picked up a couple of rolls of Kodak Ektar 100 (not available in NZ!) and am looking forward to the results. Just wonderful ... the chair and the photograph !!! There's a lovely touch of humour in this triplet!